What does it mean when I hear that Arizona is an equalized funding state? 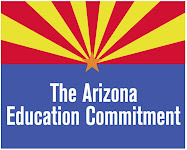 The Arizona state constitution calls for the legislature to “enact such laws as shall provide for the establishment and maintenance of a general and uniform public school system.” Equalization laws strive to standardize the amount of funding a school district receives to educate each student regardless of differences in property wealth between districts. What does property wealth have to do with school funding? Prior to 1981, schools were funded mainly by the collection of property taxes from the residents and businesses located in the school district. Districts with high property wealth could generate lots of money to fund schools with relatively low tax rates, while districts with lower property wealth struggled to generate funds for their schools. Does equalization mean my property taxes no longer fund public schools? No. Public schools are still funded by property taxes. The first funding source for public schools is local property tax collections. The next funding source is the state property tax, better known as the county equalization tax. Finally schools are funded by the state’s general fund. If a school district does not receive enough money from local property taxes to fund its schools, the state’s general fund, which has been supplemented by the state equalization property tax, makes up the difference in the funding needed. So how is equalization different from the old system of funding schools via property taxes? The equalization law established a formula that attempts to standardize revenues and expenditures across school districts to fund annual budgets. The law dictates how much money can be raised for annual maintenance/operations and capital needs. In other words, the state legislature became the body that determines how much revenue can be generated to fund school budgets instead of a school district generating as much money as the district’s property wealth could muster. So, how does the state decide how much money school districts will get? The formulas used to determine this are very complicated. In the simplest terms, the state sets the Base Support Level (BSL)–or per pupil funding level–for maintenance/operations budgets. The maintenance/operations budget is the largest portion of a school’s budget. It pays for all day-to-day operations in a school year and its largest component is salaries. It also sets the base levels for unrestricted capital and soft capital funding. Capital funds are provided for expenditures on furniture, fixtures and other items that are expected to last for more than one operating year. Soft capital is provided for textbooks, software and other instructional materials used directly by students in the classroom. To explain this in the simplest way possible, the state takes a count of students by district. The BSL and capital funding levels are multiplied by the number of students in each district. The dollars are totaled, and this sum becomes the equalization base funding level for each school district. The equalized base funding level is the amount of money the state authorizes school districts to receive from property taxes and the state’s general fund. It doesn’t seem right that a school district receives the same amount of money for every student. Isn’t it more expensive to educate high school students, for example, than it is second graders? The state recognizes that some students require more resources to educate than others. When computing the maintenance/operations portion of school funding, the student count in each district is actually a weighted student count. A wide array of weights has been established for use in the funding formula, depending on the types of students in the mix. For example, the weight for a high school student is higher than the weight for a second grade student. The weight for a student with a learning or physical disability is higher than the weight for a student who does not have a disability. But, regardless of the weighting system, a student in any one category–a fourth grade student with a hearing disability, for example–will bring the same amount of funding to whichever district the student attends. What about teacher compensation? Some teachers have more credentials and experience than others. Wouldn’t school districts with highly skilled and experienced teachers have to pay more of their maintenance and operations dollars for salaries than others? Yes. The state formula includes adjustments to accommodate high levels of teacher experience (in excess of the state average calculation) and those districts that participate in Career Ladder and other qualified performance-based pay systems. School districts that employ highly experienced teachers and/or who participate in these merit pay programs receive more dollars than districts that do not. If the state guarantees full funding for each student, what stops school districts from setting property tax rates really low and getting most or all of their funding from the state? The legislature also sets the Qualifying Tax Rate (QTR). This is the tax rate the legislature uses to determine how much money a school district will get from the state, if any. The QTR is multiplied by each district’s Net Assessed Property Value (NAV). The answer to that equation determines the source(s) of a school district’s funds. If the equalization base funding level is greater than QTR x NAV, local property taxes will not be adequate to fund the district’s budget. The remaining amount of funding is provided by the state’s general fund. This is called basic state aid. If the equalization base is less than QTR x NAV, no basic state aid is provided and the primary property tax rate is set at the level required to generate the equalization base. Don’t high-wealth districts still have an advantage over lower-wealth districts? Their property tax rate can still be much lower even though both are capped at the QTR. Yes, wealthier districts can enjoy lower rates and still fund the equalization base. However, school districts cannot assess rates lower than 50% of the QTR. If the property values in the district are such that this tax rate generates more funds than the equalization base, the excess taxes are remitted to the state to offset basic state aid for other districts. In actual experience, there are very few school districts that can fund the equalization base with a tax rate less than 50% of the QTR. The school districts that do are generally districts with high property wealth and relatively few student-aged residents. If the state limits the amount of money a school district can generate for its annual budget to the equalization base funding level, why is the primary property tax rate on my tax bill higher than theQTR? Property tax rates used to fund public schools can be, and generally are, higher than the QTR. This is because the state allows school districts to budget for expenditures that are outside of the equalization base funding level. Some of these expenditures are funded by property taxes that require voter approval before they can be assessed; other expenditures are funded by property tax rates that do not require voter approval to be assessed. Now I’m really confused. When can a school district assess property taxes for expenditures outside of the equalization base funding level? Let’s start with non-voter approved tax assessments. School districts operate under different conditions that make it unrealistic to standardize funding completely. For example, some school districts operate under government-mandated desegregation and civil rights agreements. Compliance with these agreements incurs unique costs in these districts. Consequently, the legislature allows the districts to generate revenues through additional property taxes that do not have to be approved by the property owners in the district. Another type of expenditure outside of the equalization base funding level is expenditure for adjacent ways. School districts incur costs to improve a public way that is adjacent to land owned or leased by the district. These expenses may include intersection traffic signals, sidewalks, utility lines, etc. The state allows a school district to impose a non-voter approved property tax to fund costs for specific projects. Other non-voter-approved expenditures include spending on transportation costs in excess of those provided by the state’s equalization formula, small school adjustments, dropout prevention, and more. School districts add up the amount of revenue needed for each of these expenditures and, using the NAV, determine the additional property tax rate that needs to be charged to generate this revenue. This additional property tax rate is added to the rate necessary to fund the equalization base funding level (the QTR), and the district’s primary property tax rate is determined. This is why on many property tax bills, the primary property tax rate is likely higher than the QTR set by the state. What are voter-approved expenditures outside of the equalization base funding level? The state allows school districts to ask voters to approve maintenance/operations and capital budget overrides to increase funding for schools during the seven-year life of the overrides. Currently districts can ask for two types of maintenance/operations overrides: a ten-percent K-12 override and a five-percent K-3 override. School districts can also ask voters to fund a ten-percent capital budget override. Finally, a school district can sell voter-approved bonds to increase capital expenditures beyond the unrestricted capital funds provided by the state’s equalization formula. School districts decide to ask for an override and/or capital bond issue, determine the tax rates required to fund the proposals and place the requests on their local ballot for voters to approve or reject. If approved, the additional tax rates are assessed and shown separately on the property tax bill as secondary property tax rates. What stops a school district from going crazy and levying outrageous property taxes for expenditures outside of the equalization base funding level? Many of the non-voter approved expenditures outside of the equalization base are unlimited in their scope. What keeps school districts from taxing property owners indiscriminately is legislation called Truth in Taxation (TNT). Passed in the late nineties and amended several times thereafter, TNT requires taxing bodies–including school districts–to provide public notice of intent to raise taxes. If school districts taxed for revenues in an unreasonable manner, constituents could use the TNT notification to identify the parties responsible and vote them out of office. TNT laws also require the legislature to reduce the QTR and the equalization property tax rate to compensate for across-the-state increases in property values. These measures are intended to have a dampening affect on tax rates. It seems like the old system was a lot simpler. Why did the state decide to create an equalized funding system? During the 1970s, a wave of litigation in the United States was decided in favor of plaintiffs who sued on the theory that funding schools based mainly on property wealth was unconstitutional. Though no lawsuit was brought in Arizona at that time, the legislature heeded the constitution’s “general and uniform” language pertaining to education and enacted the equalized funding mechanisms described in this article. The equalization tax rate is set by the legislature each year. For fiscal years 2006-2008, the rate was set at zero. This resulted in the state general fund taking on a larger percentage of public school funding than in years when the state property tax was collected. The state equalization property tax returned in fiscal year 2009 and was set at $0.33 per $100 of Net Assessed Property Value (NAV). The maintenance/operations budget makes up the lion’s share of a school district’s funds and is comprised mainly of salaries for staff. It also includes student transportation costs, career ladder, teacher experience payments and other annual operating costs. The state provides funding for two types of capital expenditures. Unrestricted capital pays for a district’s capital needs – expenditures on facilities and equipment with a life span greater than one year. Soft capital is used for the purchase of materials generally used directly by students in the classroom, like textbooks, software and equipment investments that last longer than one year. There are separate base funding levels for these two types of capital expenditures. The weighting system is too complicated to describe in this article. There are Class A weights and Class B weights. The M and O calculation uses a different weighted student count than the capital calculation. Suffice to say here that the formulas attempt to adjust for different types of students when computing the amount of funding per student. Small school districts (under 600 students) and isolated school districts receive additional weight to adjust for the economies of scale that are lost under these circumstances. This is an exception to the equalized per student funding between districts. The state legislature has closed most merit pay programs to new school districts, citing questions regarding the effectiveness of the programs. Consequently, school districts that did not install programs prior to this closure do not qualify for this extra funding. The Gilbert Public School District successfully sued the Arizona Department of Education, contending the program is unconstitutional as it pertains to the “general and uniform” clause. The case is currently under appeal to a higher court. Meanwhile, the state legislature has proposed to end state funding of these performance-based systems and allow county officials to levy the property tax needed to fund this increase to a school district’s equalization base, shifting the funding from the state level to the local. Districts also sell bonds for new school construction. In 1994, the state high court ruled this method of funding school facilities to be in conflict with the “general and uniform” language of the constitution. In response to this case–Roosevelt v. Bishop–the state established the School Facilities Board (SFB) which sets uniform standards for the physical facilities of school districts and oversees the allocation of funding for construction, building renewal and deficiency correction from monies allocated by the state’s general fund. However, this legislation does not preclude a school district from selling bonds to raise capital over and above that provided by the SFB for purposes of constructing schools and improving facilities beyond the minimum standards required by the law.